What Else Do Process Servers Do? Process servers are best known for delivering legal documents to the homes of strangers and declaring the infamous words, “You’ve been served.” While this service of process is the most prominent responsibility among process servers, they also maintain other essential legal responsibilities. If there’s one thing the court system generates on a daily basis, it’s documents. Every motion, filing, briefing, verdict, or claim within a jurisdiction leads to a document being filed at the county clerk’s office. The sheer volume of documents generated by court proceedings on every level is enough to boggle the mind, especially if you only have a few minutes to try and search for the specific document that you need. This is why process servers also specialize in finding legal documents quickly and efficiently, in turn saving lawyers and other legal professionals valuable time and effort. A skip trace is an important tool that helps locate a person who may be difficult to find or is purposefully evading the authorities. It can also reveal information about a person’s past and current situations. A process server can complete a skip trace to gather phone numbers, criminal reports, past addresses, business associates, relatives, names of neighbors, and other sources of information that could be useful for locating the person in question. 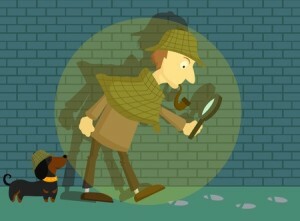 A diligent search is a focused search used to locate an individual required to begin legal proceedings. If a defendant or witness is missing from a court case, all efforts must be made to search for them before the case can continue. Process servers are experts in diligent searches because they use all of the information available to them to prove that all avenues of discovery have been utilized. If you need any of these services for your own purposes, contact Accurate Serve of Daytona Beach at (386) 569-8475 to learn more. Accurate Serve is Florida’s premier private process server company that is devoted to meeting the unique needs of all clients.